The brisk days of winter are upon us, which means we’re multiplying in layers. So the Apache team thought we’d guide you through some winter hats and accessories to help you stay warm and complete your winter-piece outfit in style for Autumn/Winter 2013. It’s the ultimate season to leave your hat on, so first off we introduce you to our selection of woolly winter hats for men, already at discount prices. We have Fred Perry’s Twisted Yarn Beanie featuring a flecked wool mix fabric, with a contrast knitted bobble and a subtle Fred Perry Laurel Wreath emblem tab at the front. The Twisted Yarn Beanie comes in a black steel or navy. Otherwise, turn to the Fred Perry High Ribbed Beanie Hat, a simple and classic ribbed design that is supremely tactile and warm. This lambswool winter hat is also complemented by Fred Perry’s iconic Laurel Wreath, embroidered on a ribbed turn-up hem. You’ll find this chunky knit beanie in either a rich blood red or black marl. Top off a Fred Perry polo or fishtail parka coat with this winter essential. Also in the mix, is headwear from Lyle and Scott. We recommend you keep a good head this winter season with this New Navy Pom Pom Beanie Hat, crafted using a ribbed style knitted design, that boasts a classic knitted turn-up hem with tonal navy stitching. This woolly knit is topped off with a red contrast ‘pom pom’ bobble and features the much loved yellow eagle embroidery on the fold. 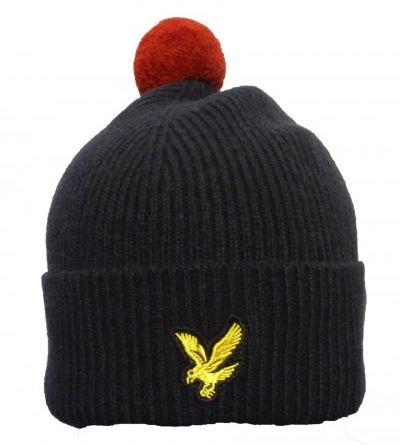 Also check out Lyle and Scott’s Pom Pom Beanie in Scotts Green. 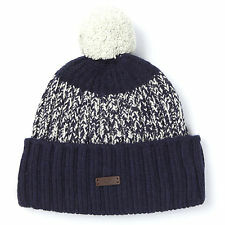 Or, tone down your style with Lyle and Scott’s Ribbed Beanie Hat; the same design, but without the pom pom bobble. It’s simple, but effective, and comes in a choice of seasonal colours from a winter colour palette. Choose from either, New Navy, Scotts Green or Solid Grey. 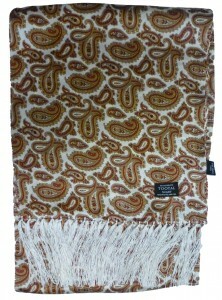 Now finish off your warm winter outfit in style with one of our scarves from the Apache collection. You can complete your look from the Lyle and Scott range with a Rib Knit Scarf to match your winter hat. Like the Ribbed Beanie Hat, the Rib Knit Scarves by Lyle and Scott come in a matching New Navy, Scotts Green or True Black colour-way. It has a versatile style for both smart and casual attire, and most importantly, its special lambswool blend makes it super snug for the cold weather. Or, keep a fresh look with a classic mod Tootal Scarf. Our heritage collection of Tootal Scarves contains four double-sided designs, each with a vintage design of polka dots or paisley mix. Each authentic pattern is significant of the mod generation and benefits from the cool sixties psychedelia. The pure silk retro Tootal scarves are made from 100% soft and lightweight silk, finished with hand tied fabric fringe detailing and Tootal branding. These dapper silk scarves drape nicely when worn long, knotted or wrapped. A perfect addition to this season’s winter hats, down jackets or chunky knit sweaters. Indulge this winter and shop our latest deliveries of winter hats and scarves at Apache Online, UK.